You have finally got to Santiago's airport. But how to get to the city, and how to get around in Chile? Here's a short introduction to the possible means of transport you can come across. 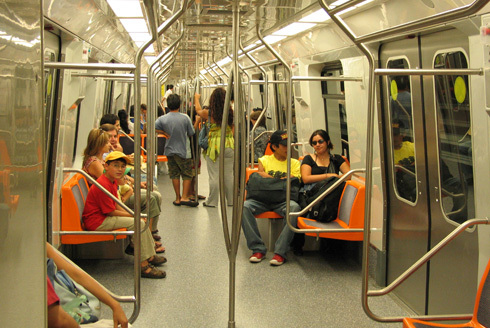 Santiago's subway is fast, but during the peak period crowded. Possibility to use clon-buses, that have the same route as the metro, but on the surface. Today it has five lines. The main line (1) runs modern French trains along the central East-West axis Alameda - Providencia - Apoquindo serving the center as well as the newer business districts of Providencia and Las Condes. At Los Héroes, Baquedano and Tobalaba stops, you can change to one of the three lines connecting the southern parts of the city to the center. The fiths line is in the South. Tickets cost between 610 and 720 pesos (about USD 0.95 - 1.10), depending on time of day, and include transfers. It is recommended to buy a prepaid card Multivía or Bip!. There is no timetable. But usually the metro runs every 2-3 minutes. On the Metro-webite or the Metro-app you can plan your route and have the approximate arrival time estimated. These reasonably-priced group taxis run their fixed routes indicated on the signs on their roofs. They usually wait at the metro stations in Santiago or at other central locations and leave when there is a minumum of riders. In other cities, they operate like buses. A colectivo can also be stopped anywhere along the way. At night, they will take you to a specific address for an additional fee and as long as it is close to their route (a domicilio). Taking a taxi in Chile is safe and relatively cheap. The black cars with their yellow roofs can be hailed anywhere. In Santiago, there is a base price of 300 pesos (USD 0.50) plus around 130 pesos for each 200 m driven (or per minute when waiting). The rates are posted on the windscreen; the meter has to be where you can see it. For longer hauls or cross-country, you can negotiate a price beforehand. Tipping is not customary. You cannot rely on the drivers' sense of orientation, often they barely know their way around. The more you know about how to get to your destination, the better. You can request a radiotaxi by phone to pick you up from your house (Yellow Pages under 'Taxi'). Long distance buses run to all major and medium-sized cities offering three price ranges (Salón Cama - Ejecutivo/Semi Cama - Pullman/Turístico). For longer rides (usually at night) the more expensive sleeper (Salón Cama or Premium) is recommended since it offers more leg room, reclining seats, and better service on board. On long holiday weekends and when the vacation period starts and ends, prices will rise; so, get your tickets in plenty of time! On the main runs, there is a lot of competition, and it's worth comparing prices and levels of service while at the bus station or by phone (Yellow Pages under 'Buses Interurbanos'). Smaller bus companies often make the runs within a region or to remote destinations, often with less comfortable vehicles. On short runs between neighboring towns there are also the cheaper group taxis (usually yellow; see Colectivos). Terminal San Borja (Terminal Norte): San Borja at Alameda, next to Estación Central train station: to the north and Greater Santiago. Passenger trains, which have been pushed out of the market by the competition from buses and by a lack of timely investments for modernization, only run from Santiago south until Talca (approx. 250 km). Compared to the bus, there are few trains leaving during the day, but - for a similar price - they offer more space and services (bar, restaurant). All trains leave from Estación Central where you can easily get by the subway. 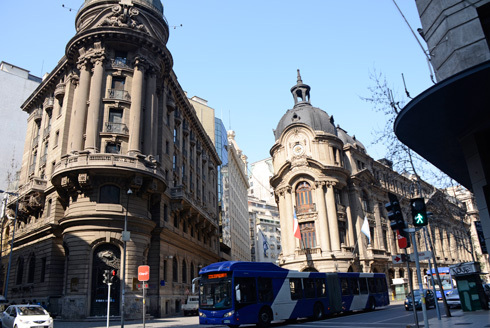 There is fast and reliable light rail service called Metrotren 40 times a day between Santiago and Rancagua, eight times a day to San Fernando. Because of the enormous distances, flying is a fast and safe alternative for travel within Chile. Two private airlines, LanExpress and Sky Airline , serve all major cities of the country with modern fleets. 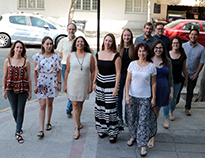 There is a number of little companies offering local connections. Reservations through travel agents or directly with the airlines. 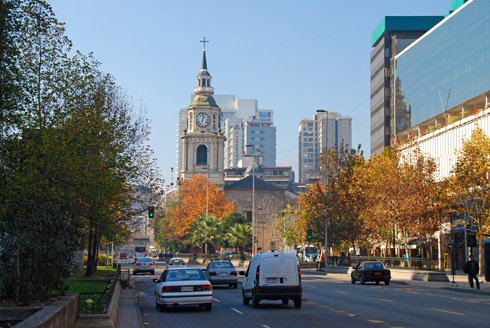 LAN offers a Chile roundtrip ticket (Lan Air Pass) that can only be purchased in connection with an international airline ticket to Chile and before the trip. The Airpass works with coupons (max. six per person) and is cheaper for passengers who fly to Chile with Lan (3 coupons USD 250, ea. additional one USD 60) than for the rest (3 coupons USD 350, ea. additional one USD 80). The coupons can be used within one month after the first internal flight, with some limitations on the routes. The individual flights can be booked in advance or on location, and they can be chosen freely, capacity permitting. The Airpass is definetely worthwhile for anyone who wants to fly more than twice within Chile. For renting a car, you have to be at least 21 (22 or 25 at some companies), present a valid driver's license (ideally your national and an international one), and leave a blank credit card voucher as a guarantee. Rates are lower in Santiago than in the provinces. With smaller companies, you can try haggling; expect a discount for a long-term rental. A simple subcompact is between USD 25.00 and 40.00/day. ContactChile offers economic rental cars in all Chile. The price should include free mileage (kilometraje libre), insurance (seguro, with or without deductible) and value-added tax (IVA). Also inquire about roadside assistance, parts service and liability in case of accident. It costs more to take a rental car across national borders, and it requires additional paperwork and insurance; not all rental companies offer this service.